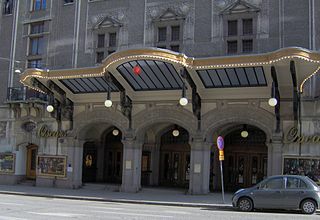 Oscarsteatern is one of the main square in downtown Stockholm. Although size not too big, Oscarsteatern always be a place to sell during the day. From Monday to Saturday, Oscarsteatern market filled with fruit and vegetable traders, while specifically held Sunday flea market. Oscarsteatern surrounded by Royal Concert Hall, Filmstaden Sergel, and Kunshallen food court. Sweet flower fragrant and fresh fruit immediately smell when I entered Oscarsteatern area. Traders in the kiosk called “Hej, Hej” to everyone who passes in front of their stall, trying to attract the attention of visitors and then offer their wares. Initially I was surprised it got rave reviews. It turns out a misunderstanding between me and the merchants, because they sound pretty loud so I was shocked and immediately think negative. Various types of berries neatly inside the fruit stall. Color and aroma of fresh fruit is tempting me to try some fruit. The merchant who was friendly and offered me to stop by just to see. Usually the sellers are more aware of the tourists who come to bring a camera. Gladly they find will give free samples with the hope tourists interested in shopping in their place. For some reason when I came to Oscarsteatern there is no single trader who provided me with free samples? Maybe because I was more like a local than a tourist immigrants, or maybe because I was seen as a poor tourist who just sekdar the road and take a photo, not the tourists who love shopping. But anyway, can free sample or not, the traders remained friendly to all visitors. Cheap cheap smile and greeting, at least for these two things are free. Tradition in Stockholm invited to dinner at someone is carrying flowers or fruits as delivery to the host. Oscarsteatern can be a great place to shop if you are invited to dinner while in Stockholm. Fruits and flowers are sold are guaranteed still fresh even purchased during the afternoon because all the stalls in the roof so Oscarsteatern using fruit and flower protected from direct sunlight. Additionally, indeed better to visit Oscarsteatern during the afternoon. Traders tend to be more aggressive in selling their wares. By late afternoon, the traders will lower the price of their wares. If the trader has lowered prices, traders from other kiosks will come lower prices. In fact, the price is cheaper than the price of the first-mentioned vendors reduce prices. Price wars for the sake of spending all of their merchandise. Than the goods they are selling it Dibaa home. Better to be sold at a bargain price. If you want a taste of berries with a variety of shapes and colors that will not be found in Asia, you are encouraged to stop by during the afternoon in Oscarsteatern.